Laser, Skin Care, Facelift, Fat Transfer, Injectables? With so many different offerings out there, it can be quite confusing. Here at Finger and Associates we offer individualized Face and Visia Skin Analysis and the answer for you will completely depend on your preferences and budget coupled with our expertise. In all cases a good skin care program is of essence, to repair, restore and maintain beautiful skin. 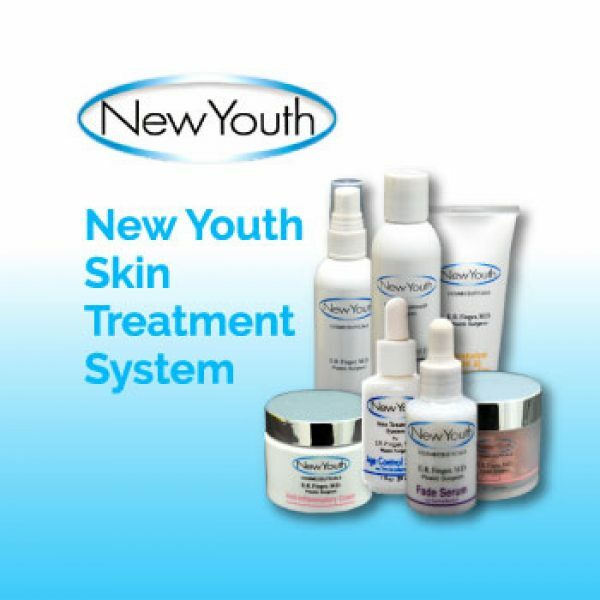 “New Youth Skin Care” is our Anti-Glycation, Anti-Aging Skin Care, Nutritional Line is offered in our Office as well as Online, without overselling, we encourage you to read about why it works and challenge you to give it a 60 Day trial and you will see an amazing difference in texture, pore size, reduction in fine wrinkles, and overall skin quality. In most cases Dr. E. Ronald Finger suggests a combination of Injectables (Botox, Juvederm Voluma, Sculptra, Restylane), to name just a few, (Fat Transfer is often another solution), Fraxel Laser, or Platelet Rich Plasma Therapy ( Via Micro Needling). In some cases Cosmetic surgery is suggested along with the above mentioned options. Eyelid Lifts are a very common affordable procedure for women and along with the benefit of making you look 5-10 years younger. It does not require General Anesthesia ( In most cases) and minimal down time is another plus. When a Facelift is required due to access sagging of the facial or neck skin, usually fat transfer is done at the same time, but it still requires skin care for optimal results. Often injectables and/ or the Fraxel Laser as well as PRP Treatment are offered in addition. When it comes to fine lines and wrinkles a Facelift is just not enough. We know that to maintain a Youthful Appearance there is NO MAGIC PILL OR ONE PROCEDURE FIX, otherwise we would all do it. When it comes to experience we have it! 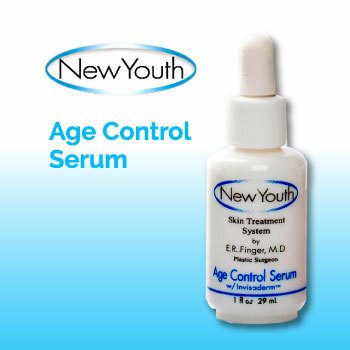 At Finger and Associates our highly qualified Nurses and our Skin Care Expert, along with Dr. E Ronald Finger, do not believe in selling you “Quick Short Term Solutions,” but rather a life long skin treatment and maintenance plan that will sure fit your needs and budget. * Disclaimer: Americeuticals LLC. will continue to fight those who attempt to abuse our name to sell counterfeit products, and/or to illegally obtain credit card information. We do not offer free skin care trials. 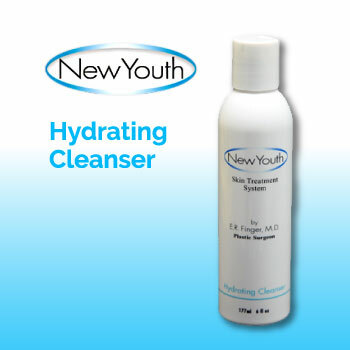 New Youth Cosmeceuticals was developed by E. Ronald Finger, MD. Our offices are located in Savannah Georgia. NEW YOUTH is a Trademark & Brand of Americeuticals LLC.